There’s no denying that crime and violence are at an all-time high these days. Hence, knowing how to defend oneself is crucial. Nevertheless, how is this possible? Well, martial art, in any of its form (Karate, Taekwondo, etc. ), is something that everyone could learn – men, women, and even children. Ideally, martial art is something that adults practice. However, even children can learn it, too. They could learn a lot from it, aside from learning how to defend themselves while staying in shape at the same time. 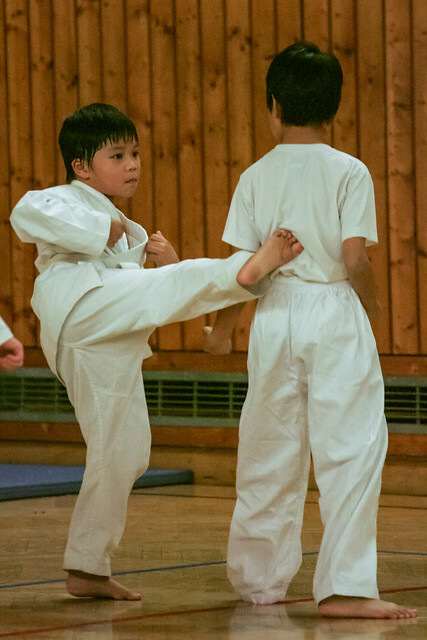 Through martial arts, children learn self-control and develop their self-confidence as well. Children, even siblings at that, have different characteristics and attitudes that set them apart from each other. Some may have very low self-esteem for reasons only they know while others may have bad tempers and get easily provoked over the smallest things. Learning martial arts can help children control the above-mentioned and put them back on the right path. Indeed, martial arts could be instrumental in helping children overall, and in some respect, it could inspire them or help them go farther in life. 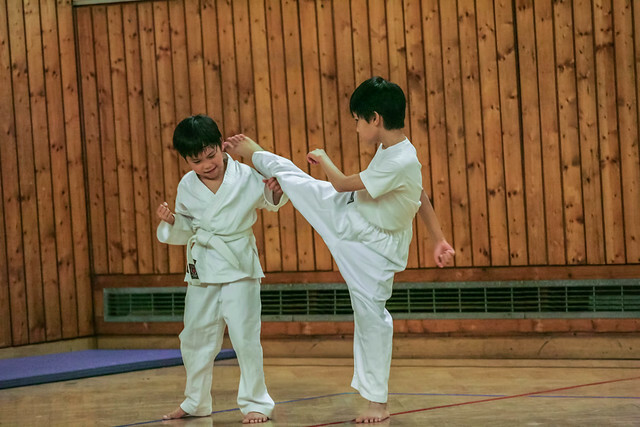 So how can you open your child’s mind to the idea of learning martial arts? Well, the first thing you need to do is help your child pick a style that you think he will enjoy. It would help to make him watch The Karate Kid, the one with Jackie Chan and Jaden Smith. It might make him even more interested in the idea of taking martial arts lessons. Given that there are several different styles to choose from, your child might have a hard time deciding which one to learn. Some popular forms of martial arts are Karate, Taekwondo, Judo, Muay Thai, and Jiu-Jitsu. Talk to your kid to find out what interests him. Is he more inclined to punch and kick? On the other hand, are ground grappling and submission things he would want to learn? Don’t be afraid to ask him because you are not trying to feed any wrong ideas in his young mind. Make him aware that you are not, in any way, condoning violence. Rather, you just want him to learn something that would prove to be useful later on. As soon as your child has chosen, the next thing to do is check out local martial arts centers and dojos near the place where you live. You don’t have to worry since the instructors employed in these places are experts – black belters (or other higher ranks) and highest-ranked students who help the former handle the classes. Most of the time, when classes are small, the instructors and student teachers engage the enrolled kids in hands-on sessions to help the children improve in areas where they are weakest. As much as possible, you need to choose a goal-oriented class. As mentioned earlier, martial arts are not just about defending oneself but also about self-discipline and building one’s self-confidence. When the dojo is able to embrace these, then you have found a good class for your child. You also need to make sure that the place is clean, equipment is functional, and everything is up to the latest and greatest standards. Ask anyone who has taken martial arts lessons and they will tell you that it is one of the best places for children to start aligning their future. A martial art is more than just self-defense. It can help a child develop many essential aspects of his life, including responsibility and self-control. The longer a child takes martial arts lessons, the more focused, responsible, and goal-oriented he becomes.